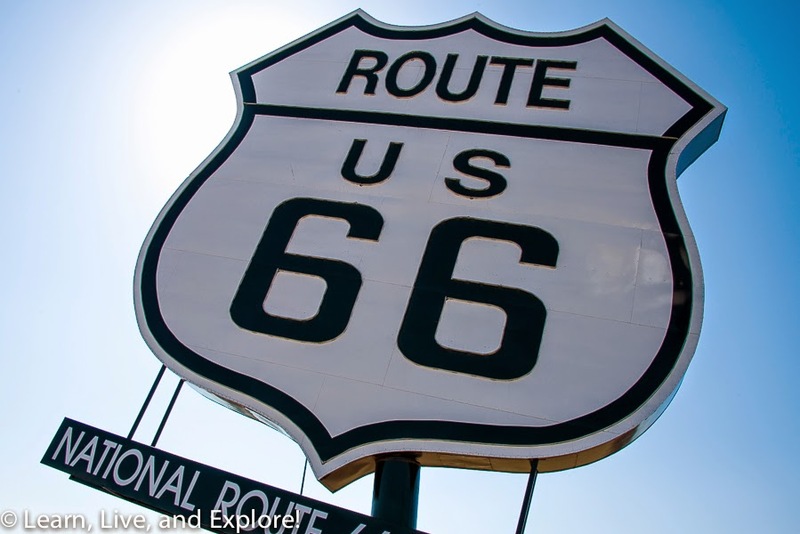 Route 66 Kicks: Day 3....Tucumcari to Flagstaff ~ Learn, Live, and Explore! Westbound Route 66 Day 3 consisted of more driving, less stopping. Starting in Tucumcari, my drive started out with a straight shot to Albuquerque, then stuck pretty much to I-40 into Flagstaff. Albuquerque, itself, was rich with 66 sites along the main street through town - Central Avenue with its hotels with neon signs, shells of old buildings converted to new uses, theaters, etc. Built in 1946, this motor lodge at 5715 Central Avenue was one of many developed in Albuquerque as a direct result of the waves of post-war cross country travel, due to the removed restrictions on gas and growing ownership of automobiles. The building is a pueblo revival style, and driving west on Central Avenue, it is the first of several historic motels you will encounter on this stretch of Route 66. 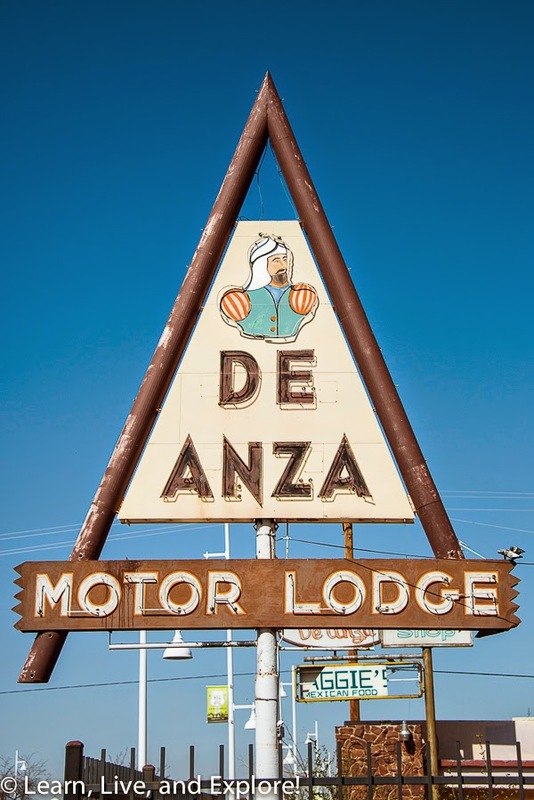 Just down the street from Tewa Motor Lodge, you can't miss the teepee neon sign of De Anza Motor Lodge, at 4301 Central Avenue. Built in 1939, this structure is an example of a pre-war tourist court, later expanded to meet the needs of the popularity of Route 66. I haven't seen the television series, but apparently the De Anza Motor Lodge makes a cameo in a Season 2 episode of Breaking Bad, entitled "Phoenix," where Walt throws a tire out of his car trunk and makes a drug transaction in the scene. 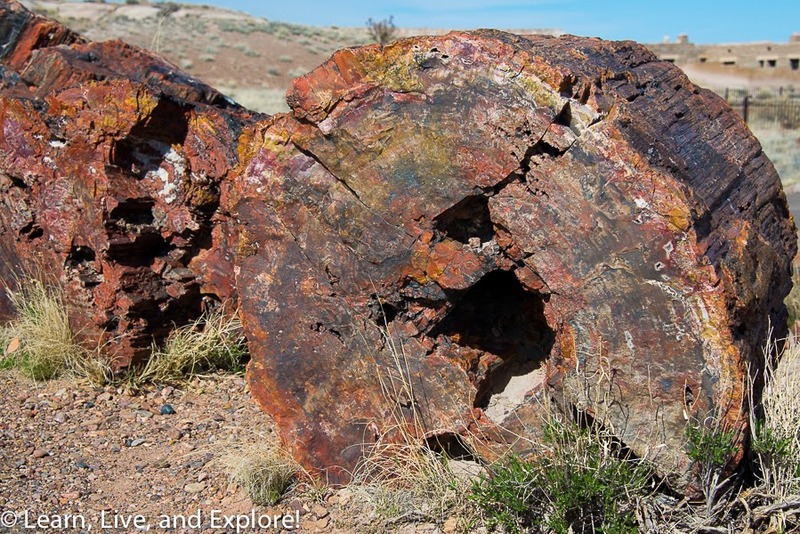 Traveling farther west, there are other notable Route 66 sites that are not pictured in this post but you may want to check out. Nob Hill Shopping Center (at Central and Carisle) - This is the first "drive-in" shopping center in New Mexico. We are so used to these kinds of u-shaped strip malls now, that it is hard to conceive of how strange this shop/parking lot set up was back when it was built in the mid-1940s. Pig and Calf (2106 Central Ave. SE) - Now a Pita Pit, this building was once a popular Route 66 BBQ restaurant. The original black tile frieze with a pig and a calf remain today. The Cottage Bakery (2000 Central Ave. SE) - Originally made to look like a fake thatched cottage when built in 1937, this building has housed many different businesses during its life - beginning with the bakery, changing to cafes, pizzerias, and even a psychedelic store in the 1960s. Now it is the home of the LA Underground store. Jone's Motor Company (3222 Central Ave. SE) - Now Kelly's Brew restaurant, this building was commissioned in 1939 to be a service station and car dealership. 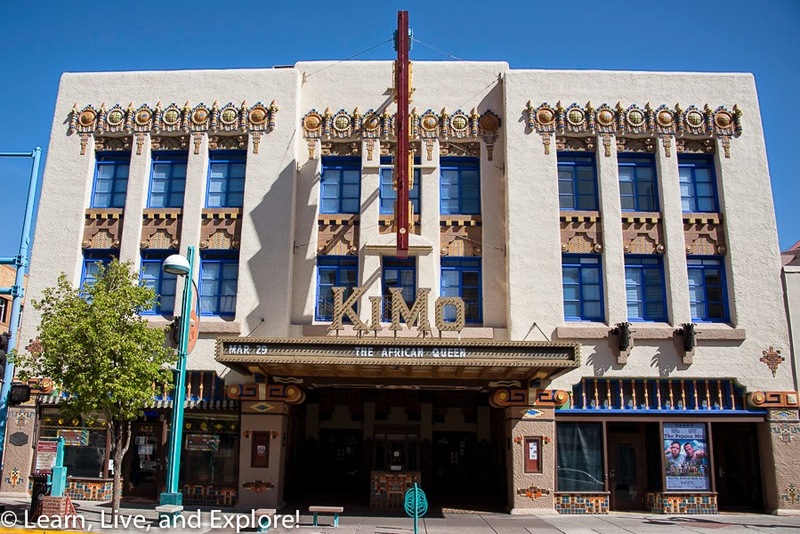 Designed to combine the local pueblo style with the popular art deco of the time, the KiMo was built in 1927 to show both movies and live performances. The KiMo you see today, at 423 Central Avenue, has been completely restored after a devastating fire in 1961. I didn't go inside, but I've read that it is decorated with tribal designs and decorations from the local New Mexican tribes. Heading out of the city on Central Avenue to meet back up with I-40, you can do a drive-by of the El Vado Auto Court Motel at 2500 Central Avenue SW. This pueblo style motel is an important Route 66 relic because it has been largely unaltered since it was built in 1937. Take exit 53 on I-40, turn north, then immediately take a left onto the frontage road. Don't go into town. 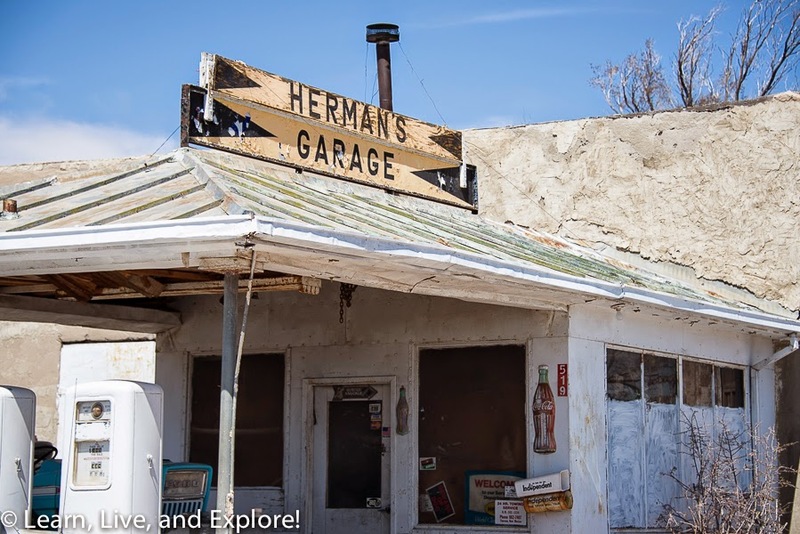 If you drive down the frontage road for a bit, you will find one of New Mexico's oldest service stations: Roy T. Herman's Garage and Service Station. This franchise style Standard Oil station began serving customers in 1937 at the garage's original location in Grants, NM. Later, it was moved to Thoreau when Route 66 was realigned to its current location. Before buying the gas station, Roy Herman was a young veteran who had worked there in the late 1940s. The pumps are original 1940s pumps, and the sign is from the 1950s. I'm a big fan of cheesy photo ops, so here's a great one! 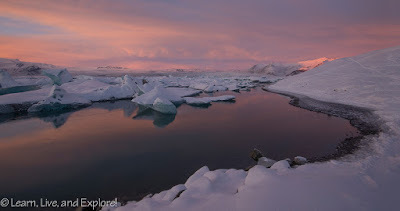 If you're not familiar with the continental divide, it is the hydrological divide of the Americas, or the line that distinguishes the water that runs into the Pacific Ocean versus the water that drains into the Atlantic Ocean, Gulf of Mexico, and Caribbean Sea. 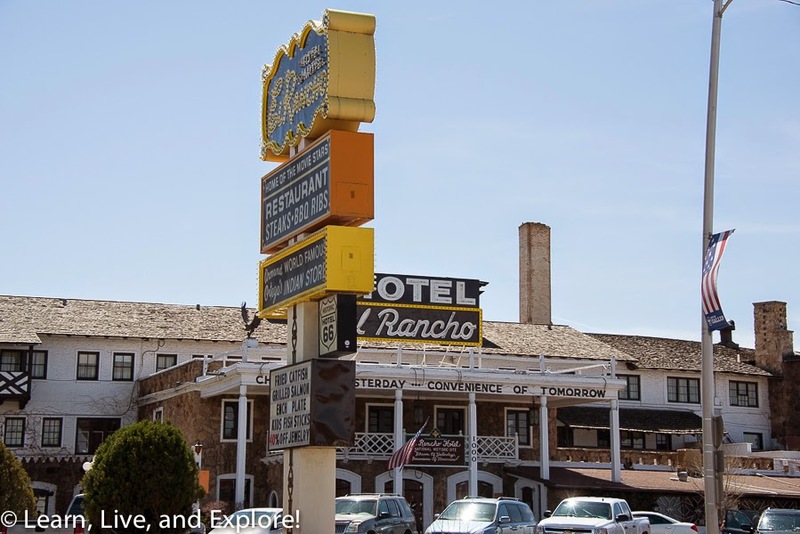 Gallup is just a quick stop off I-40 to see the historic El Rancho at 1000 E. 66. 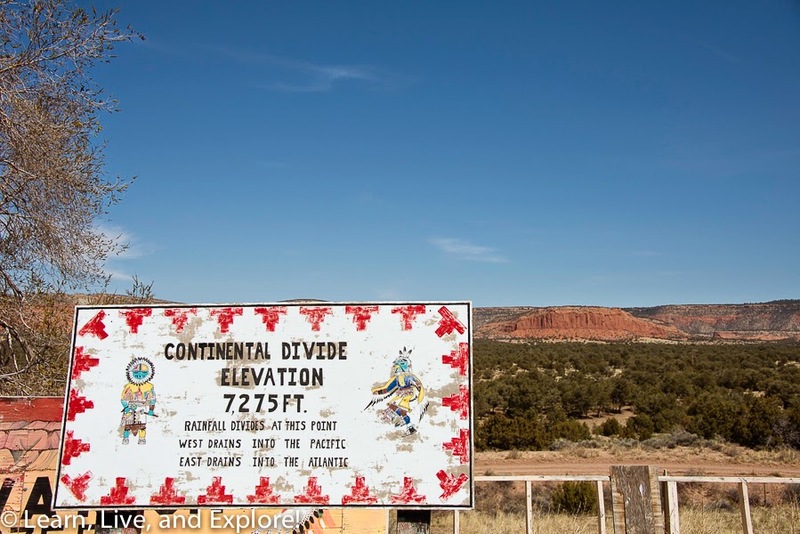 This hotel was built by the brother of a famous movie director and apparently was the temporary residence of many famous Hollywood actors and actresses who were based in Gallup while filming popular Westerns in the area. The hotel claims stars like Ronald Reagan, John Wayne, Doris Day, Spencer Tracy, Katherine Hepburn, the Marx Brothers, and many others stayed there. 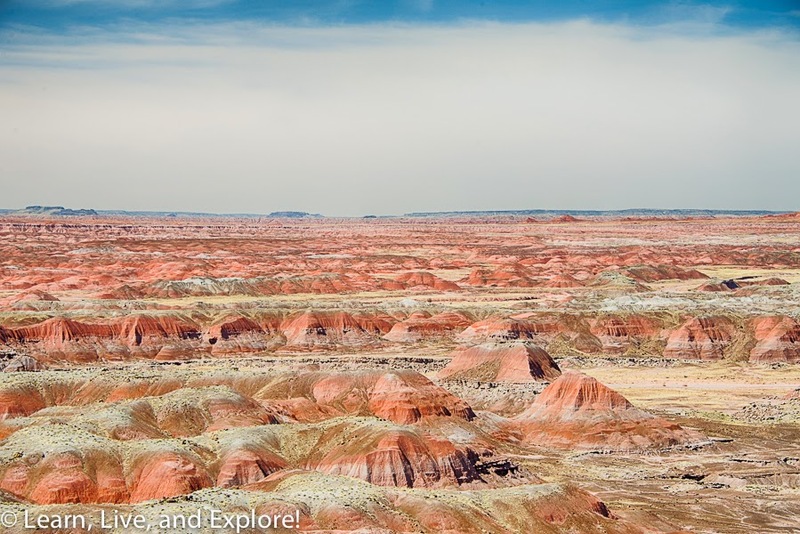 Though not an official Route 66 destination, you cannot drive on I-40 in eastern Arizona without stopping to see the magical landscape of the Painted Desert and the prehistoric petrified wood. 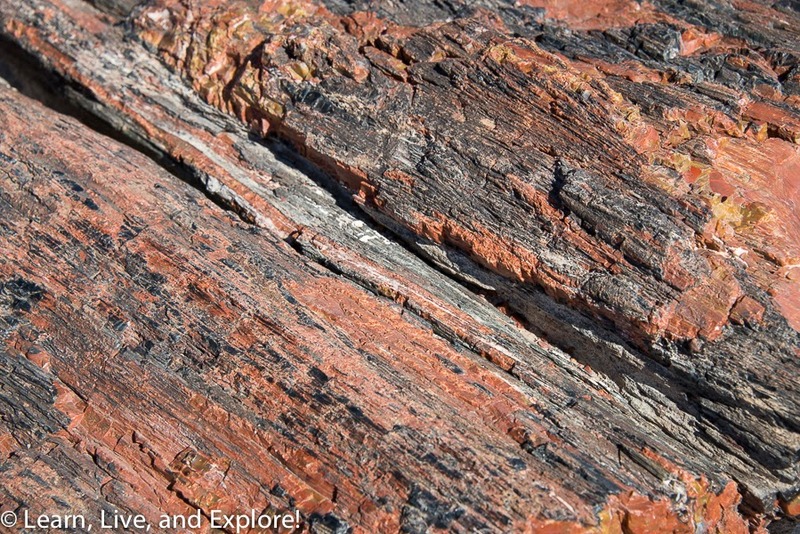 The entrance to this National Park is just off the freeway, and the tour route will take you from point to point. From the other entrance, it's not too far to get back to I-40 via a stop in Holbrook. 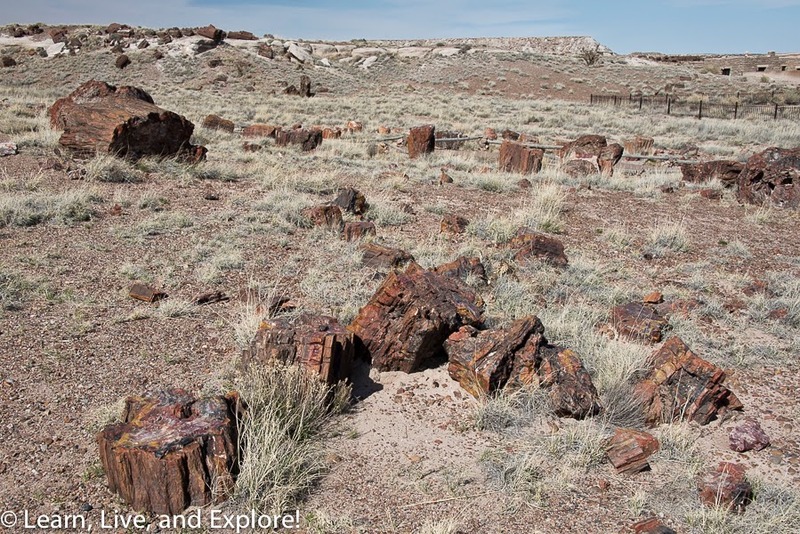 Once inside the park, there are many overlooks for the Painted Desert, some including telescopes to view the prehistoric petroglyphs. 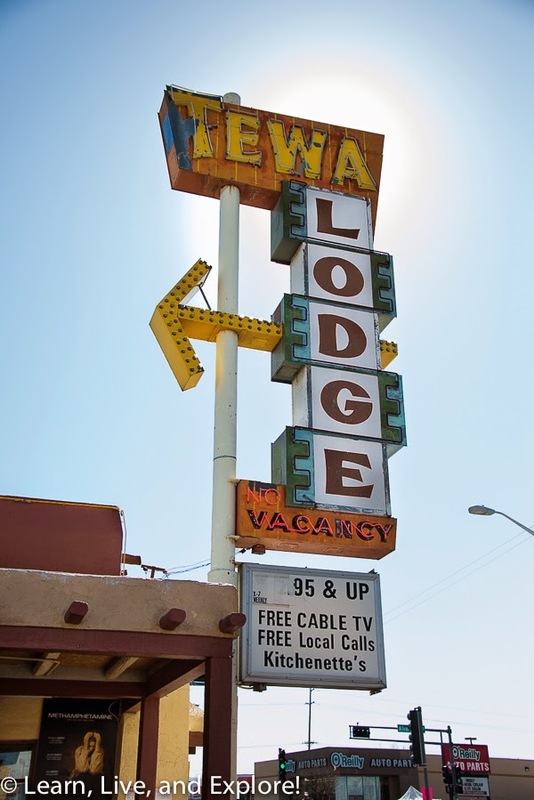 Before getting back on to I-40, you must stop at the Wigwam Motel at 811 W. Hopi Drive. This is one of three remaining Wigwam motels, out of seven originally. 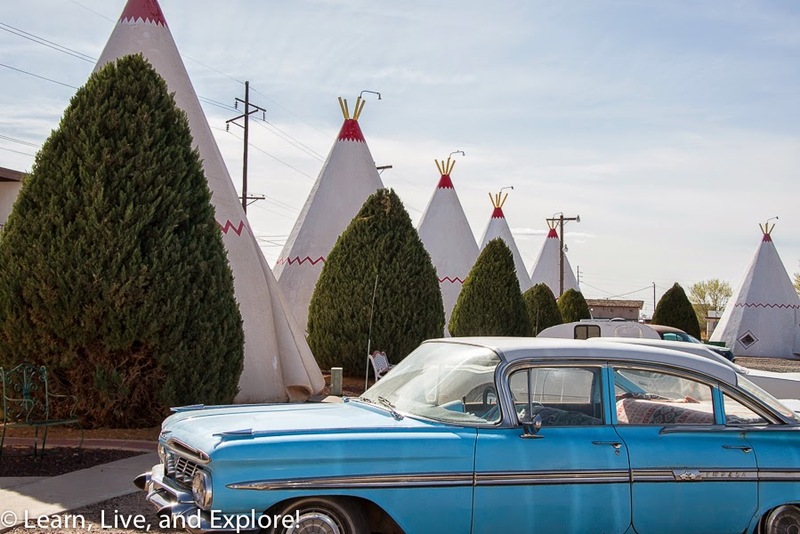 Two of the remaining Wigwam motels are on Route 66. 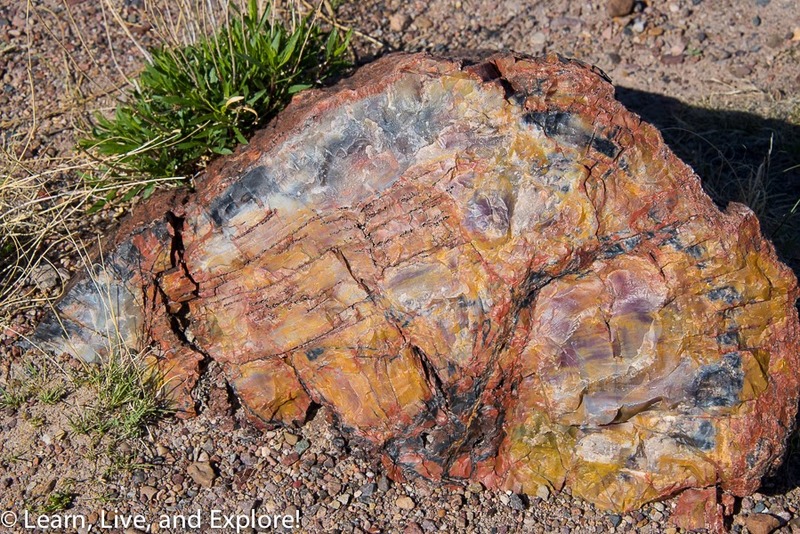 If you're up for a little backtracking, then head east on I-40 from Holbrook to find Stewart's Petrified Wood Trading Post. It's a feast for the eyes, with crazy things like a giant dinosaur eating a mannequin woman. 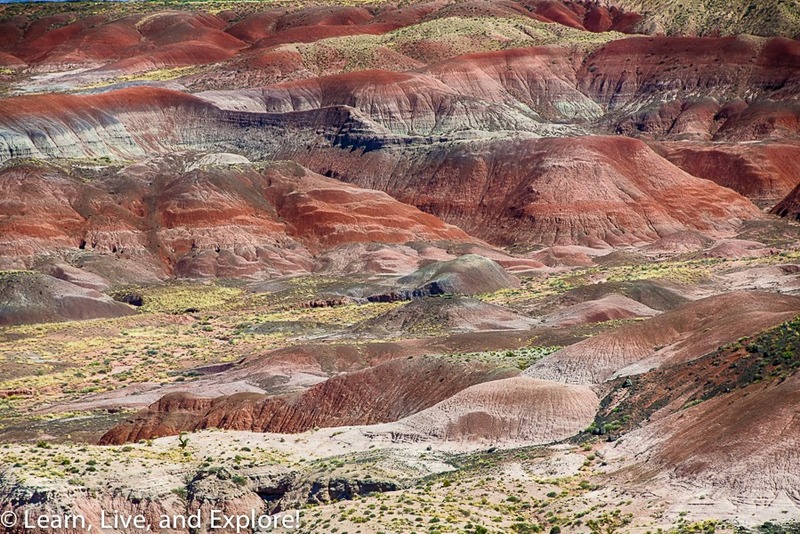 This is the part of I-40 that you skipped to see the Petrified Forest and Painted Desert. 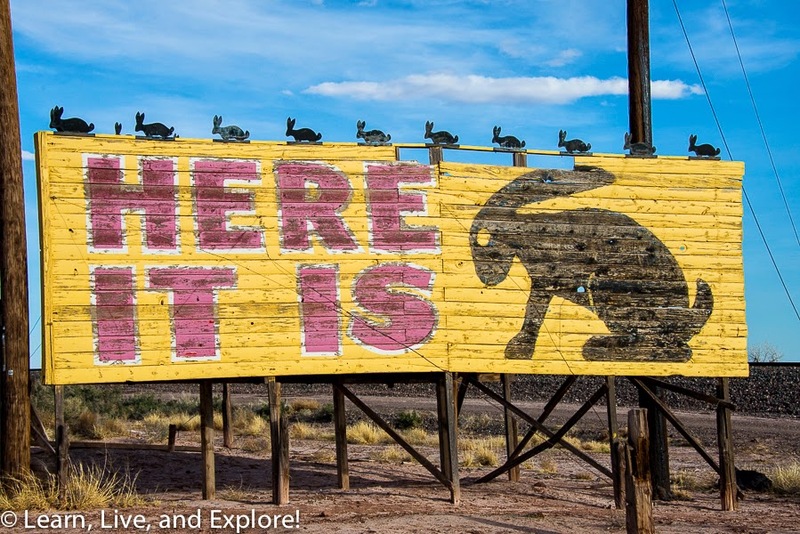 Not really known for its actual goods for sale, the Jack Rabbit is more popular for it's famous rabbit sign. 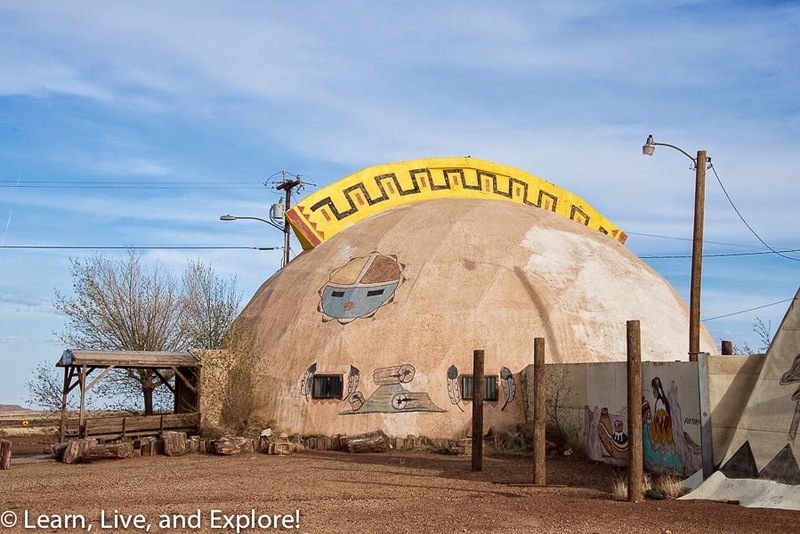 This trading post was originally built in 1938, with the dome addition in the late 1970s. 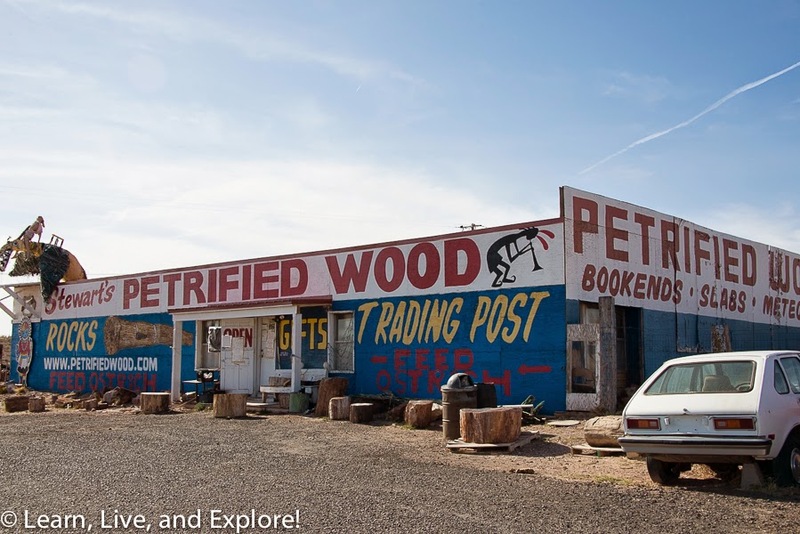 This used to be the home of the world's longest map of Route 66, as well as the world's largest dreamcatcher, but apparently both are gone now. 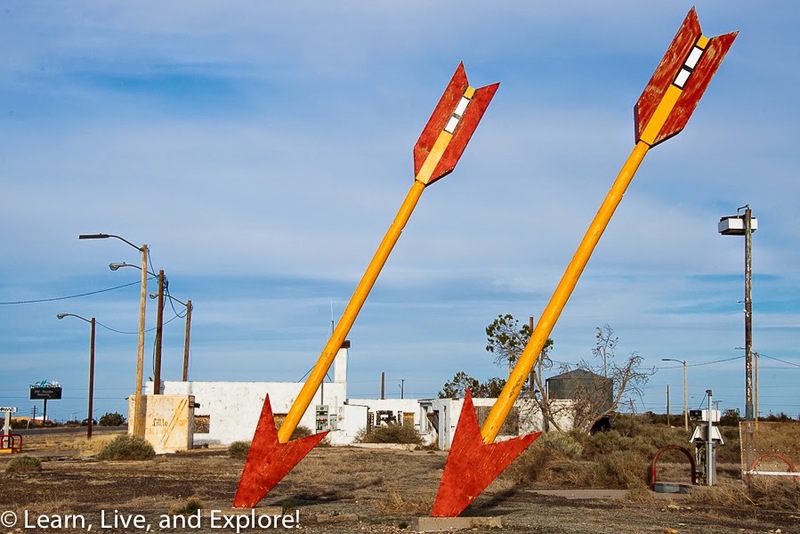 The final stop for the day was these colorful twin arrows, remnants of an old trading post. Make sure you don't head towards the giant new casino! 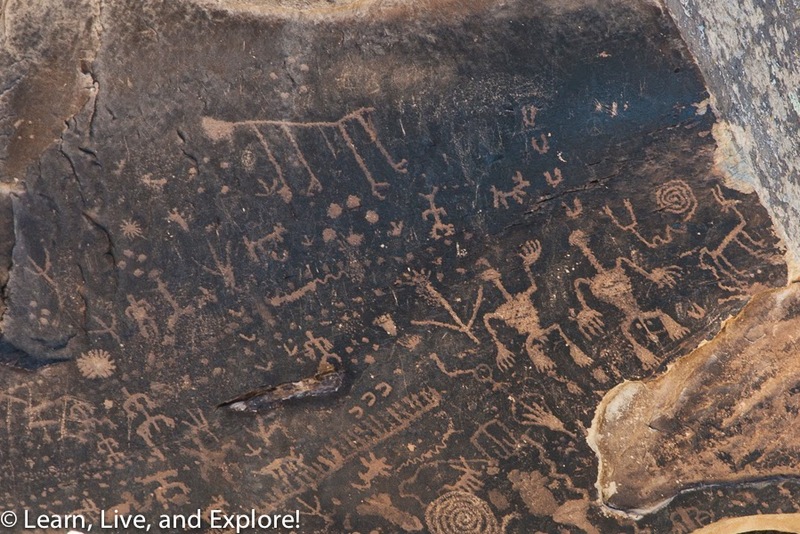 The arrows can be found on the frontage road on the south side of I-40 that also acts as the off-ramp for the exit 219 eastbound traffic. After a long day of driving, Flagstaff was the logical choice for an overnight stay before making the final leg of the journey to Santa Monica.